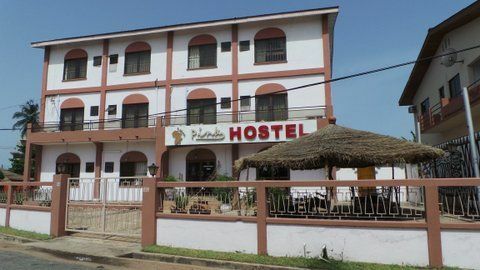 PINK HOSTEL International Student Hostel is the first of its kind in Ghana is located in the tranquil and peaceful ambience of Accra. 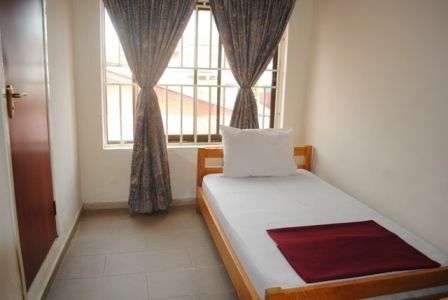 PINK HOSTEL in Asylum Down, (opposite American Chamber of Commerce and adjacent to Kwame Asante & Associates) is a fifteen (15) minutes drive from the Kotoka International Airport.The vision of the hostel is to create a hallmark of QUALITY SERVICE with GOOD QUALITY NATURAL FRESH FOOD at affordable prices. PINK HOSTEL has facilities for students / volunteers, both individuals and groups on internship / research programs and non-students / adults. 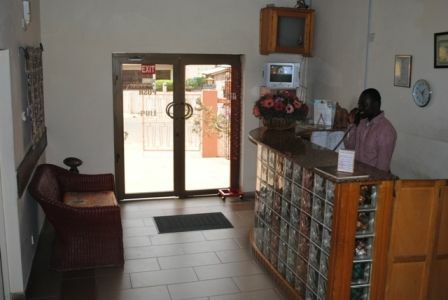 We welcome everyone traveling to Ghana, seeking a home away from home. PINK HOSTEL has played and continues to play host to students and teachers accompanying them, who travel to Africa, especially those traveling for the first time.PINK HOSTEL also has facilities for adults, families and workers, who are on vacation for their relaxation. PINK HOSTEL guarantees clients: Air-conditioned rooms with ensuite bathroom and toilet DONDO Internet caf 'Mosquito Coast' GallerySIKA Restaurant, an air-conditioned African Terrace with authentic umbrellas. 'GOME' Club, a well-kept garden for relaxation and cool fresh airTwenty-four hour access to the premisesGuard service Tour packages (optional)And much more for your comfort, entertainment and pleasure PINK HOSTEL is a beautiful stylish retreat for students and adults who are coming to our part of Africa for a vacation without limit. Indeed it is a great place to relax. You can also count on our excellent service and warm reception by staff to make your stay one of the happiest and memorable of a lifetime. FROM THE AIRPORT (PINK HOSTEL IS LOCATED AT ASYLUM DOWN-ACCRA)Drive through the '37 Military Hospital Road' to the 'Ako Adjei Overpass', turn right and drive on the 'Ring Road Central Road' towards 'Kwame Nkrumah Circle. Make a U-turn on your left after the 'Nima Police Staion' traffic lights. Take right after the u-turn and another sharp right, PINK HOSTEL is located 6 buildings on your left after the sharp right turn.